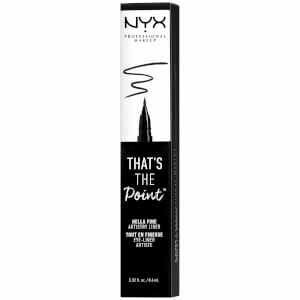 Say goodbye to sparse and pitiful brows with the NYX Professional Makeup Tinted Brow Mascara; a quick and easy solution to add instant definition and shape. The creamy formula boasts a natural pigmentation to help enhance colour and thickness, applied with a spoolie brush that works to coat each individual hair whilst tidying and taming them into place. It leaves eyebrows feeling soft and supple, whilst ensuring maximum control. 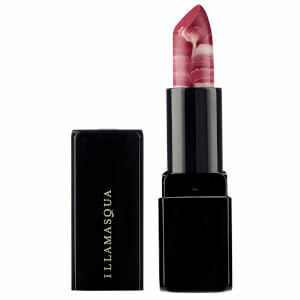 Choose the shade that closely matches your hair colour for subtle yet perfectly defined arches. Brush through eyebrows from the inner to outer corners. Layer for intensified coverage. Water/Aqua/Eau, Acrylates/Octylacrylamide Copolymer, Beeswax/Cera Alba/Cire D'Abeille, Butylene Glycol, Vp/Hexadecene Copolymer, Glyceryl Stearate, Cetearyl Alcohol, Euphorbia Cerifera (Candelilla) Wax/ Candelilla Cera/ Cire De Candelilla, Stearic Acid, Magnesium Aluminum Silicate, Copernicia Cerifera (Carnauba) Wax/ Copernicia Cerifera Cera/ Cire De Carnauba, Aminomethyl Propanol, Mineral Oil/ Paraffinum Liquidum/ Huile Minérale, Caprylyl Glycol, Acrylates/C10-30Alky Acrylate Crosspolymer, Phenoxyethanol. May Contain/ Peut Contenir (+/-): Mica, Titanium Dioxide (Ci 77891), Iron Oxides (Ci 77491, 77492, 77499). Tint Brow is very easy to use. Its quick and easy. Similar to mascara,is the same concept. The brush is a little shorter than a mascara brush, just comb through with a gentle touch. It looks natural on, not shiny and fake looking. It stays on well, it washes off very easily.